Powar had controversially omitted Mithali Raj from India's World T20 semifinal squad against West Indies last year. Powar, who had taken on the role till the end of the ICC Women's World T20 on a short-term basis had omitted the veteran Indian cricketer from the country’s semifinal against England in November. "I don't know what exactly is happening, but he did what exactly I did. The coach must be having some vision about how to take this team forward. You can't play forever. As a coach and captain, or the team management, you need to take a call about how to take the team forward," Powar was quoted saying by the Times of India. "So I was thinking ahead. My vision was that if we had won that game, it would have taken the team places in the future. In two to five years, these girls would have developed into a great team. That was my thought process,” he added. Powar said that Raman’s main motive will be to take the team forward, with an eye on the next ICC Women's World T20 in 2020. "He's a newly-appointed coach. He needs some time to think about how he wants to take the team forward. He has started his vision. There's no option but to think ahead. It's not about Mithali, it's about forging a combination which you think is right. He must be planning to build a team for the next T20 World Cup," the 40-year-old said. 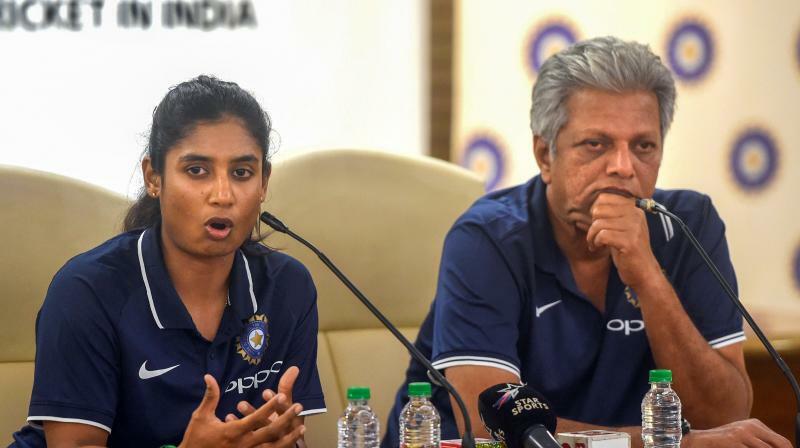 "If I wanted to be the India women's team coach forever, I would have looked to maintain a good rapport with all the senior players - Mithali, Harmanpreet and Smriti. But that isn't in my nature. I'm a result-oriented person, and for that, you have to go through a process. You've to take some tough calls at times,” he added. "I hope he'll be treated nicely when he comes back. When you're involved in a series or tournament, it seems everything is fine. “I too had no clue about what will happen when I was in Antigua. Once you land here, you come to know the impact of your decision. I hope Raman isn't criticised for this call, otherwise it will be a never-ending process. Every new coach will have to go through it," he concluded.